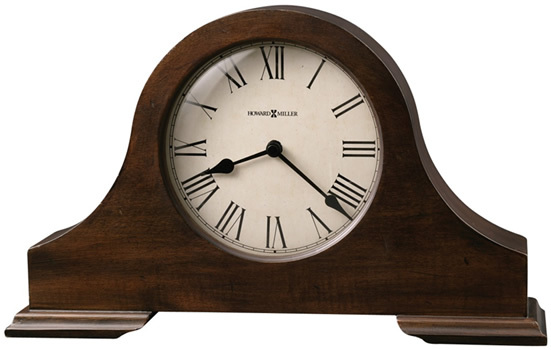 Tambour mantel style with Hampton Cherry finish, aged dial black roman numerals. Quartz. Dimensions: H 21cm x W 35cm x D8cm.